Thursday, Nov. 17, at 6 p.m. lighted floats, dancers, and even Good Ol’ Saint Nick will prade through downtown Crockett, just two days prior to the annual Christmas celebration around the square on November 19, from 10:00 a.m. until 5:00 p.m. That Saturday the square in downtown Crockett will be alive with Christmas cheer! Get into the spirit the weekend before Thanksgiving and be a part of this great Christmas tradition in Houston County. Christmas in Crockett features more than 200 arts and crafts vendors, live entertainment, a car show, and much, much more! It is a great event to get a head start on your holiday shopping and browse the 200+ vendors which will fill the streets. Christmas in Crockett is sponsored by the Crockett Area Chamber of Commerce and is scheduled annually for the Saturday before Thanksgiving. The festival attracts more than 20,000 people to the Christmas celebration around the square in downtown Crockett. Christmas in Crockett happens annually, come rain, snow, or sunshine! 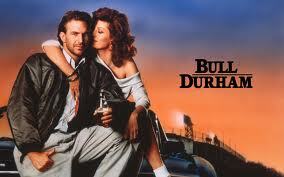 TYLER- Tonight, at 7:00 p.m. Bull Durham will be on the big screen at Liberty Hall. Bull Durham is a 1988 Sports/Romance comedy starring Kevin Costner, Susan Sarandon, and Tim Robbins.